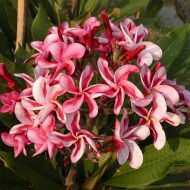 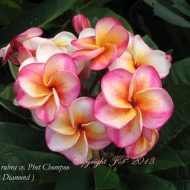 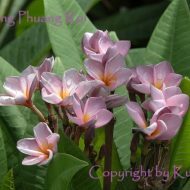 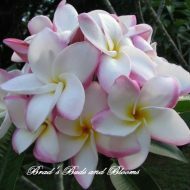 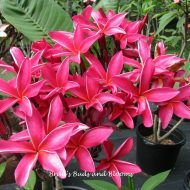 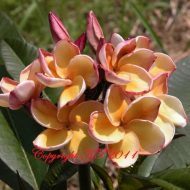 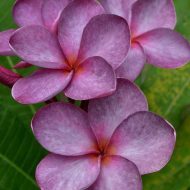 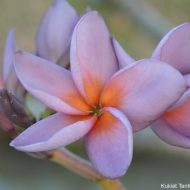 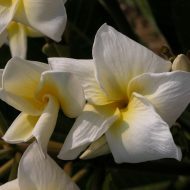 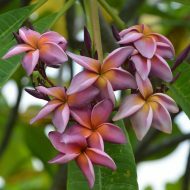 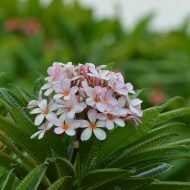 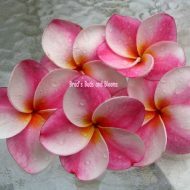 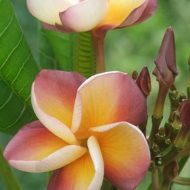 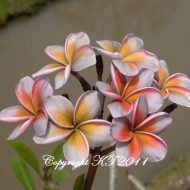 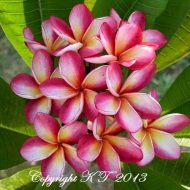 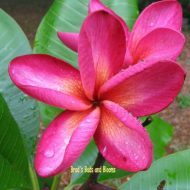 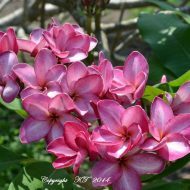 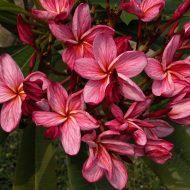 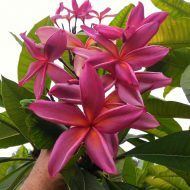 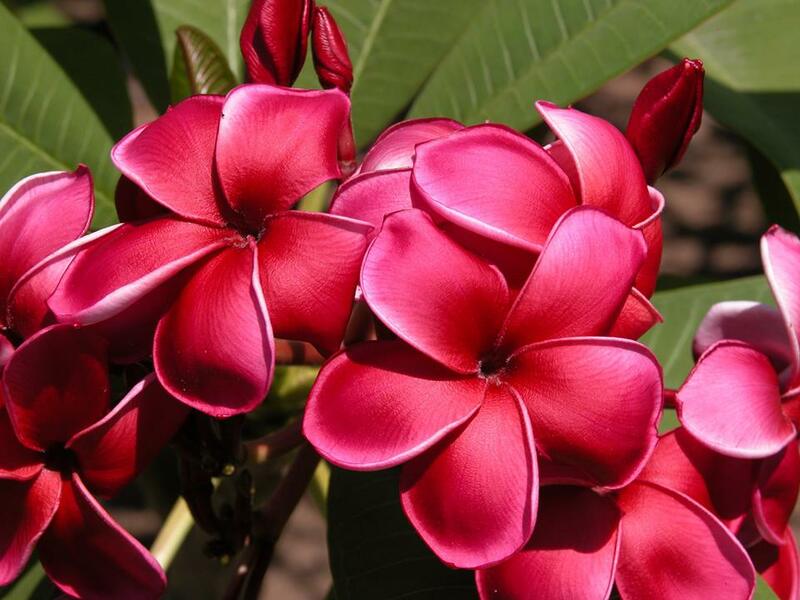 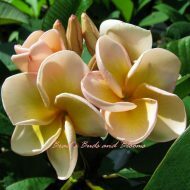 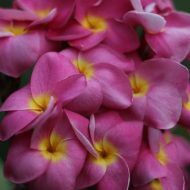 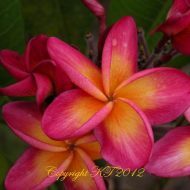 A most unique, vibrant and brilliantly colored red plumeria in that its sweetly fragrant, 3.5″ blooms feel and look as though they are made of wax–very thick and outstanding keeping quality. 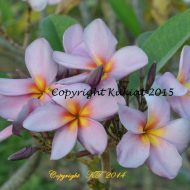 This is another cool variety Kukiat introduced us to for 2016. 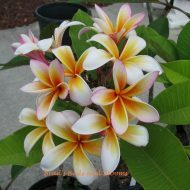 Though not his own seedling, it is a happy member of his collection. 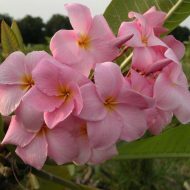 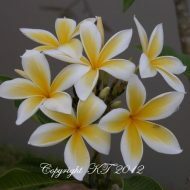 Grafted, single tipped plants from Kukiat in Thailand, 13-17″ from the soil line.